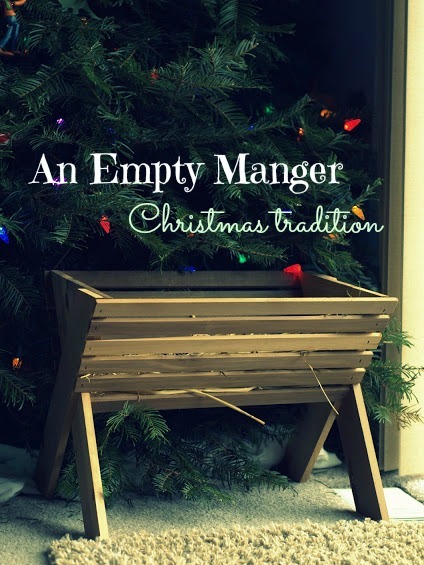 Years ago I was reading from a Chicken Soup for the Soul book and there was a story in there that talked about the empty manger under the Christmas tree. I tucked it away in my memory because I knew, someday, when I had a family I would want to have this tradition as a part of our Decembers. Last year we made up a handful of mangers. We gave the mangers, straw and a little note explaining the tradition. This is the little poem I wrote as a simple explanation. 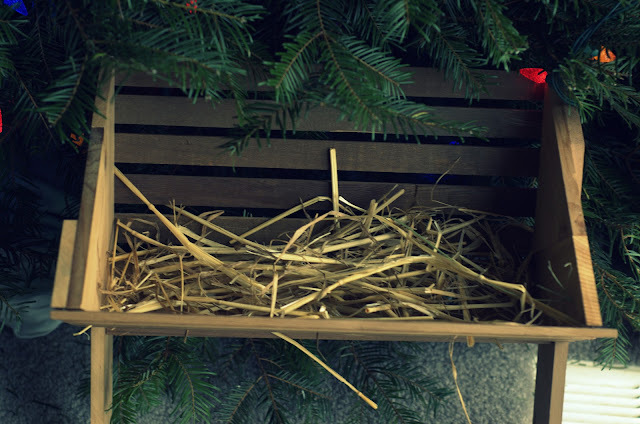 There sits an empty manger under the tree. Come Christmas morning there baby Jesus will be. Prepare a place for him to rest. By loving and caring for others and doing your very best. Place the manger under your Christmas Tree. Explain to your children that Baby Jesus will arrive Christmas morning and needs a place to sleep. It is their task during the month to be kind and to care for others and each time they do so, they will receive, a handful of hay to place in the manger. 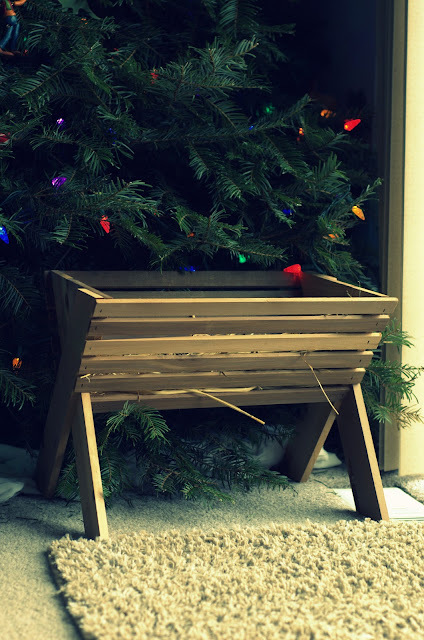 The hope is to prepare a place for Jesus when he is born on Christmas day. Come Christmas morning place a baby doll in the manger. This way when they awake Christmas morning to find their presents they also find the greatest present of all! Jesus our Lord and Savior. Usually after the presents are opened we read the nativity story from Luke or from the Jesus Storybook Bible. This year my oldest son is almost 5 and my second son is almost 3. They are starting to understand the meaning of Christmas even more. Lachlan, my oldest, is really beginning to grasp the meaning of this tradition and that God desires us to be kind to others, during the Christmas season and all year long. My hope, as we continue this tradition, is to keep track of all the little moments that arise around the Empty Manger and our preparation for Jesus. 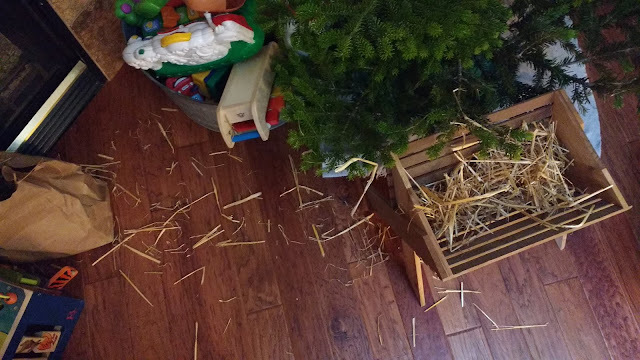 One moment so far this year occurred when Peter, my 3 year old, came up to the manger, and being a little stinker, grabbed handfuls of straw and dumped it on the floor. As I told him to stop he just kept on going. So of course he had to visit time out. As I was placing him on time out, Lachlan quickly jumped up. "Mom, I will help you." He helped me pick up all the straw and of course, for being so helpful and kind, I gave him an additional handful to add to the Manger. I told him that God loves it when we help each other. 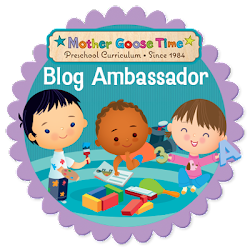 As my kids grow, I envision having conversations at the dinner table. Asking them if they showed the love of God to anyone at school today? Maybe even bigger plans like volunteering as a family or helping out a neighbor in need. And of course always trying to catch them in a moment of kindness. If, as teenagers, they start to find our tradition a bit corny. Maybe we can add straw as a family after dinner each night upon our reflection on the day. I think that is what I love most about this tradition. It can be adapted to fit your family, with the basic idea remaining the same. Focusing on the true "present" of Christmas, Jesus, why he came to this earth and what he has taught us about how to love one another. * I feel it's important to keep record here of how the tradition has changed as we as a family have changed. This year (2015) my boys are almost 7, 5 and 2. We have recently been talking a lot about the fruit of the spirit which ties perfectly into this tradition. This year, each time I see one of my children act out a fruit of the spirit, I name the fruit and give them their hay for the manger. Now that we have 3 children contributing to the manger I can't give too much away too fast so my hand fulls have gotten smaller! For the fruit of the spirit is, love, joy, peace, patience, kindness, goodness, faithfulness, gentleness and self control. "Mommy, it was me! I did it!" Adam (2.5) exclaims when I ask who filled the manger. This year, 2016, we have a 2 and a half year old who complicates things a bit. But he is enjoying the manger and I could not be happier. I just hope his older brothers understand when the tradition is not quite as formal as it has been in the past.